Deltas + Watersheds builds upon Derek’s current collaborative research and teaching in Gutter to Gulf and his pro-bono working with Dutch Dialogues. Begun in 2009, Gutter to Gulf (www.guttertogulf.com) is a multi-year and multi-disciplinary effort between architecture, landscape architecture and urban design faculty and students at the John H. Daniels Faculty of Architecture, Landscape and Design at the University of Toronto, led by Jane Wolff and Elise Shelley; and, the Sam Fox School of Design & Visual Arts at Washington University in St. Louis, led by Derek Hoeferlin. 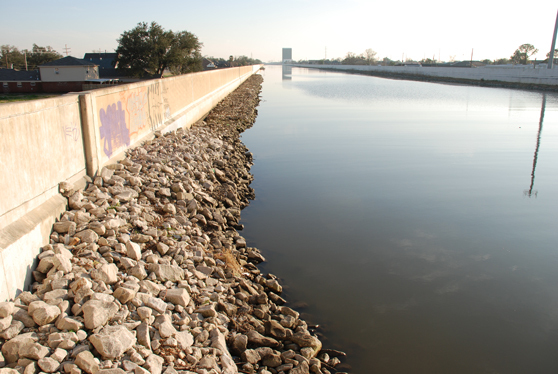 Gutter to Gulf advocates for multi-scaled water management strategies for the New Orleans region, from the scale of the gutter to the Gulf of Mexico. Begun in 2008, Dutch Dialogues (www.dutchdialogues.com) is led by Waggonner & Ball Architects of New Orleans, the Royal Netherlands Embassy in Washington D.C. and the American Planning Association. Through a series of workshops, Dutch Dialogues has brought together hydrology and design experts from the Netherlands and North America, advocating for an integrated water plan for New Orleans. Both Gutter to Gulf and Dutch Dialogues have played crucial roles in leading towards the 2011 commission for the Comprehensive, Sustainable Integrated Water Management Strategy for the New Orleans region. Waggonner & Ball Architects (www.wbarchitects.com) is leading the WMS design team and Derek Hoeferlin is participating in this important effort.